Just when I thought I was out, Team Liquid pulled me back in. 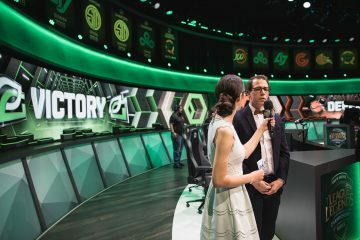 I was ready to write off the 2018 NA LCS Spring Split champs after two days of uninspired, lethargic play that made observers question North America’s status as a major region. The Team Liquid that took the EU LCS stage at MSI 2018 seemed miles away from their dominant Spring Playoff form, adrift from the meta and unable to adapt against stiffer competition. Support Kim “Olleh” Joo-sung’s self-benching after Day 1 was symptomatic of a team inches away from total mental boom, a shocking turn considering the depth of experience Liquid has at every position. Consider that each of their starters competed at Worlds 2017 just seven months ago. Top laner Jung “Impact” Eon-yeong is a former world champion. Jungler Jake “Xmithie” Puchero was the linchpin of NA’s best international performance: Counter Logic Gaming’s second-place finish at MSI 2016. AD carry Yiliang “Doublelift” Peng—arguably the best player North America has ever produced—has won a domestic title with three different teams, a feat unmatched worldwide. How could this team, stuffed to the gills with pedigree and class, fail to show up? After Liquid lost their first four games, I was ready to begin prepping for Summer Split. Yep, just another international event dominated by the Asian bloc. Nothing to see here. …And then, reality hit. Of course Team Liquid lost the rematch with Royal. Of course they lost the ensuing tiebreaker with Fnatic. Korea, China, Taiwan, and Europe all qualified for knockouts, just like last year. Of course NA finished at 4-6 and were eliminated in Groups via tiebreaker, just like last year. I learned my lesson: When you support North America, hope dies quickly. 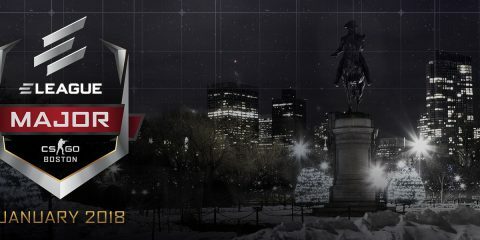 Don’t let my NA bitterness mislead you; MSI 2018 has been an exciting tournament full of twists no onlooker would have expected. Flash Wolves shook off an unconvincing best-of-five against Gambit Esports to go 6-0 after three days of Group Stage play, qualifying first for Brackets before ultimately finishing second. RNG looked at sea when they were unable to get AD carry Jian “Uzi” Zi-Hao ahead, but did so enough to earn the top semifinal seed. Fnatic simultaneously looked like the best and worst team at the tournament depending on AD carry Martin “Rekkles” Larsson’s level of involvement. And, as I suspected after their abrupt exit from Worlds 2017, Kingzone DragonX can bleed. The semifinals matchups are locked. Royal will attempt to bury Fnatic at a second straight international event, and Kingzone will try to find their footing against Flash Wolves, the old “Korean Killers” who were the only team to beat them twice in Berlin. But before the action resumes this Friday, let’s look back at 10 games to remember from the Group Stage of MSI 2018. And yes, I ranked them. Send your well-reasoned disagreements here. We love hearing from our fans. This is the Kingzone DragonX we were expecting. AD carry Kim “PraY” Jong-in’s outstanding 4-0-5 performance on TP Ezreal keyed KZ’s oppressive four-teleport composition that denied Uzi the early game resources he desperately needed. Like an incoming storm in battle royale, Kingzone slowly shrunk RNG’s circle until there was nowhere else to stand but beside their own Nexus. When your mid and ADC are eagerly teleporting back on the same control ward to finish a 4v5 Baron-less top inhibitor push, the game is well in hand. Having been undressed by PraY’s Ezreal just hours before, it was surprising to see Team Liquid go back to that same well, especially considering that Ezreal is AD carry Nguyễn “Slay” Ngọc Hùng’s most-played Season 8 champion. Slay delivered as ordered, his 5-1-13 demolition of TL indicative of his 11-2 VCS record on the mobile marksman this year. He’s come a long way since the days of Ziggs bot at MSI 2017. 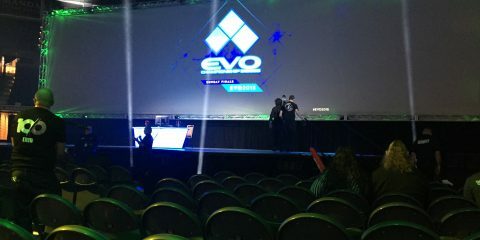 Liquid got caught playing at EVOS’ frenetic pace, and were unable overcome near-constant teamfighting with inadequate sidelane control. Liquid won the rematch days later, but this loss haunted their hunt for Knockouts, costing them a significantly easier road. If Fnatic and RNG’s semifinal series is anything like their Group Stage meetings, we’re in for a treat. In the first of many Yasuo appearances across the tournament, mid laner Rasmus “Caps” Winther’s draft of the Unforgiven Swordsman electrified Berlin’s partisan crowd, but it was his performance that truly turned heads. With no official lane counter and a composition built around his carry potential, Caps’ Yasuo ran rampant through the mid game, punishing his opposite mid Li “Xiaohu” Yuan-Hao at every opportunity. Fnatic had the Chinese representatives on the ropes until Uzi chanced a blind Living Artillery into the bush all five Europeans were recalling within. A fantastic way to kick off the Group Stage. If Team Liquid’s 2-0 Day 4 was a breath of life into their tournament run, then Day 5’s upset of Flash Wolves was red blood coursing through their veins. Given an inability to succeed on meta jungle/mid champions, Liquid made their own meta. They resurrected Xmithie’s classic Gragas and stuck struggling mid laner Eugene “Pobelter” Park on Malzahar, the taxman mage whose Nether Grasp makes for the simplest of initiations. Those two champions helped Liquid recover from a lost Baron, picking off mid laner Huang “Maple” Yi-Tang’s Swain and breaking a power play push bot. From there, it was the Doublelift show, and he made his first on-stage game as Kai’Sa a memorable one. From goat to GOAT, Olleh’s immaculate Morgana bindings in lane undid the best bot duo at MSI, allowing Doublelift to snowball on his comfort Caitlyn. Despite Team Liquid’s effective early game, all their hard work was nearly for naught after a poor Baron attempt and subsequent teamfight loss. 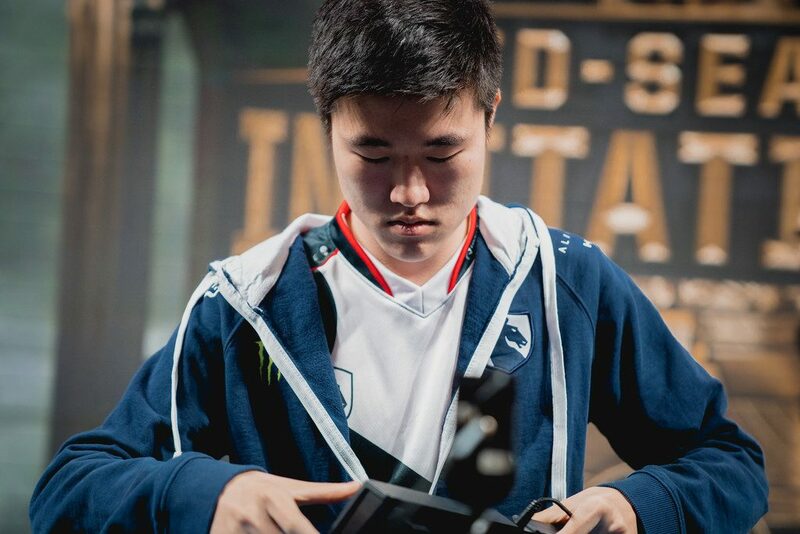 Once again, Xmithie was called upon to make the improbable routine, adding yet another Baron steal to his long resume and keeping Liquid in control of the game. NA thanks should also extend to jungler Liu “Mlxg” Shi-Yu, whose bizarre minute-long camp in a river brush only to emerge and immediately die was exactly the opening Liquid needed to secure a second Baron, effectively ending the game. A massive victory for TL, but an even bigger one for their support, hopefully healing damage that might have impacted him well into the future. Yes, Flash Wolves had looked good stomping weaker teams, but how would they fare against the Koreans? Well, as it turned out, not half bad. Rookie top laner Su “Hanabi” Chia-Hsiang proved he was more than equal to Kim “Khan” Dong-ha, punishing the Korean star’s blind Gnar with a Yasuo counterpick that paid off in spades. Support Hu “SwordArt” Shuo-Chieh’s Tahm Kench kept his AD alive and farming well enough to overcome PraY’s Kai’Sa, but checkmate didn’t truly come until a climactic combo around the Elder Drake. As it turns out, Galio’s Hero’s Entrance is particularly devastating when it targets an invisible ally who’s snuck among a grouped enemy team. With the win, Flash Wolves completed a perfect first round robin and cemented themselves as championship contenders. With a berth in the knockout round already secured, you might forgive Flash Wolves a little looseness. Sure, Xin Zhao isn’t exactly meta, but when you’re as in-form as jungler Kim “Moojin” Moo-jin was, why not give it a shot? 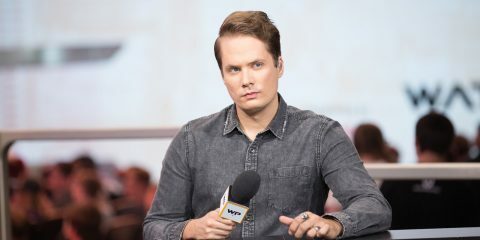 I wouldn’t lay FW’s first poor early game of the tournament entirely at Moojin’s door, nor were jungler Mads “Broxah” Brock-Pedersen’s two Baron steals Moojin’s fault alone. But if you looked in the dictionary under “How Not to Secure Baron,” you’d see this game, and part of that responsibility is on the jungler. Broxah has quietly put together a respectable tournament for himself, growing from the blinders-on Rek’Sai one trick he was at Worlds 2017 into a reliable solo lane assistant. Caps and Rekkles are getting most of the shine, but don’t forget about Broxah. Flash Wolves did, twice, and look what happened. This time around, Team Liquid rolled the dice by putting Impact on a carry, trusting his favorable matchup with Vladimir into top laner Gabriël “Bwipo” Rau’s Gangplank. Reader: It didn’t work. Fnatic chain-ganked top and Liquid either answered too late or refused to make a counterplay bot, slowly losing the plot until a mad series of deaths topside all but sealed their fate. 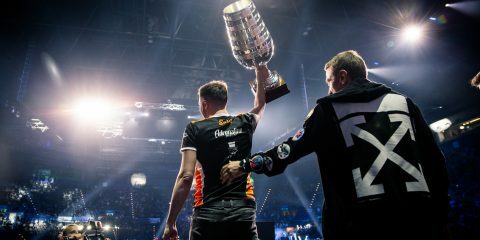 The last time Fnatic played Liquid, Rekkles was roundly criticized for taking Sivir over Xayah when support Zdravets “Hylissang” Iliev Galabov had already locked in Rakan. He made no mistake this time, capitalizing on Hylissang’s excellent Rakan engages to catch out Doublelift before a cc’d Olleh could save him. Pobelter’s Karma couldn’t match the roaming prowess or objective secure of Caps’ Taliyah, and Xmithie’s Gragas wasn’t as effective without a Nether Grasp to follow up his Explosive Cask. Liquid slowly bled out across the map, and the dream died. 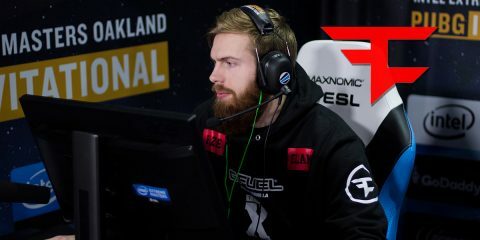 It’s difficult to find fault with Fnatic’s advancement; they were a better team than Liquid on balance, and Paris will be more vibrant with a European team in the mix. But it’s hard not to look at this MSI with a tinge of regret. North America sent its most complete team to the world stage, only to watch them get meticulously taken apart. Liquid’s showing wasn’t a total embarrassment, but far from the expectations of a major region with this much talent and investment. I hope they can translate a strong Summer Split into a run at Worlds 2018, but there again is that troublesome NA hope. For now, it’s all we have. 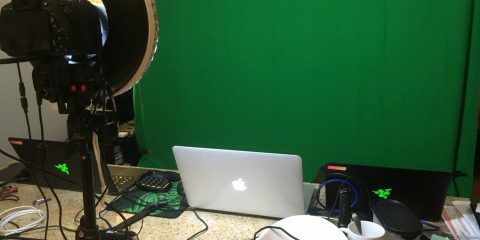 Will anyone ever solve the riddle that is Mlxg? 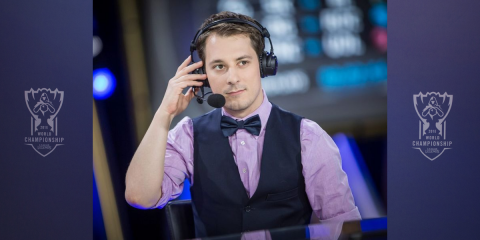 Few players have baffled professional League of Legends as much as this man, capable of the most astounding misplays and heroic outplays. Both Mlxg and MLXD made an appearance as RNG exacted their revenge over Kingzone, starting the game being bullied across the map by jungler Han “Peanut” Wang-ho before executing a pair of excellent lane ganks to bring RNG back on level terms. Given an inch, Uzi took a mile, deftly dodging both of Peanut’s skillshots under turret to live and thrive. Kingzone had absolutely no answer for Uzi’s Kai’Sa in the mid game, simply adding fuel to his fire as they ran into him one by one during his delayed topside Penta. For Mlxg, hanging 13 assists on the best team in the world should quiet calls for Hung “Karsa” Hau-Hsuan to replace him. At least for a little while. In recent years, the international dominance of SK Telecom T1 has made defeating a Korean team seem an insurmountable task. These mechanically gifted, strategically immaculate LCK squads shouldn’t be beatable, filled as they are with the world’s top talent and best coaching minds. Yet occasionally, the world strikes back. Such moments are rare and far between, but they’re not a fantasy. The recipe is simple: Draft to exploit a weakness, exploit that weakness, and pray for a bit of luck. Fnatic got their perfect storm when they upset Kingzone DragonX in stunning fashion, stomping the two-time defending LCK champions like a Wildcard team. It didn’t help KZ’s cause that they played like one, beginning with a level one brush face check from PraY you’d see in Silver soloqueue. Fnatic didn’t let up from there, establishing full control botside and tracking Peanut so well that his Red was contested three straight times. Caps was magnificent on the off-meta Corki, creatively answering mid laner Gwak “Bdd” Bo-seong’s Sion and his Banner of Command minions. Armed with The Package, Corki can roam nearly as quickly as Taliyah, and it showed with Caps’ timely arrivals in the sidelanes. With all three lanes behind, an invisible Peanut, and spotty TP usage from Khan, KZ never took a neutral objective and only managed three turrets before capitulating. Kingzone weren’t the bullies we thought they were, but then again, it was only the Group Stage. Korean teams earn their titles in the best-of-fives, and it’s still hard to imagine a team as stacked as Kingzone losing three out of five to any of the other semifinalists. But the flaws are there. Khan has dramatically underperformed, and KZ have shown a bit of indecisiveness in the jungle, splitting time between Peanut and substitute Moon “Cuzz” Woo-chan. As surely as Romain Bigeard will be shirtless in Paris, so too will Kingzone rediscover their form. It remains to be seen if the rest of the world can match them, but if the Group Stage is any indication, we’ll have a fight on our hands. 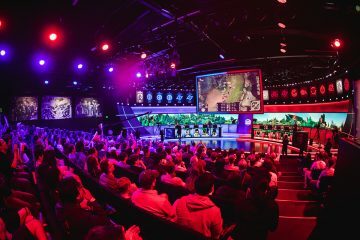 The 2018 Mid-Season Invitational can be found streaming on Twitch, YouTube, and at lolesports.com.